I have no idea whether or not the Dow Jones Industrial Average will hit 16,000 anytime soon. A P/E ratio of 15.84 seems relatively modest even in the context of some weakish macro data (weak employment numbers, weak business confidence, high energy input costs) and that priced in real GDP they look considerably more expensive, but it’s healthy to keep in mind the fact that euphoria and uber-bullishness very often gives way to profit-taking, stagnating prices, margin calls, shorting, panic and steep price falls. That same scenario has taken place in both gold and Bitcoin in the past couple of weeks. Leverage has been soaring the past couple of months, implying a certain fragility, a weakness to profit-taking and margin calls. 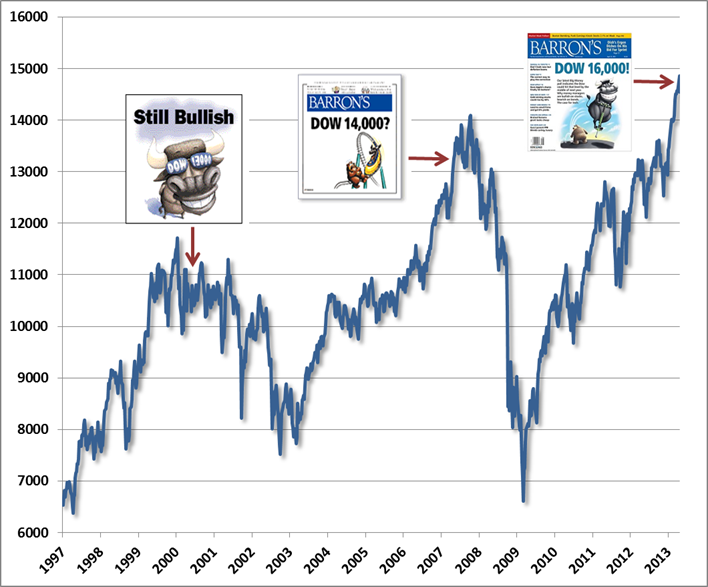 Psychologically, there seems to be a bubble in the notion that the Fed can levitate the DJIA to any level it likes. I grew up watching people flip houses in the mid-00s housing bubble, and there was a consensus among bubble-deniers like Ben Stein that if the housing market slumped, central banks would be able to levitate the market. Anyone who has seen the deep bottom in US housing best-exemplified by a proliferation of $500 foreclosed houses knows that even with massive new Fed liquidity, the housing market hasn’t been prevented from bottoming out. True, Bernanke has been explicit about using stock markets as a transmission mechanism for the wealth effect. But huge-scale Federal support could not stop the housing bubble bursting. 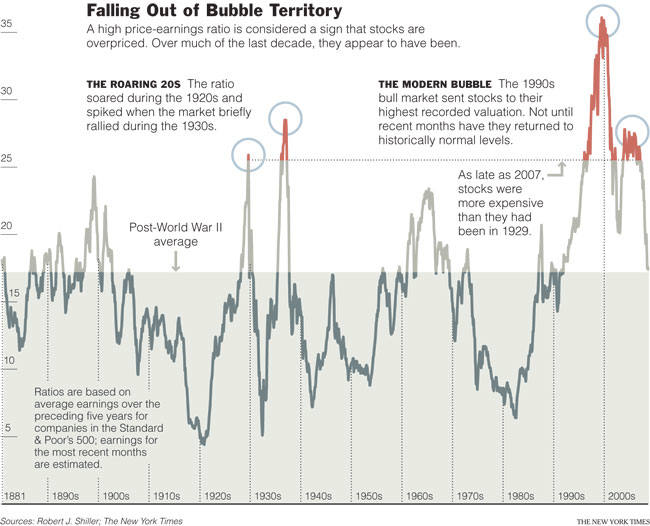 In fact, a Minskian or Austrian analysis suggests that by making the reinflation of stock indexes a policy tool and implying that it will not let indexes fall, the Fed itself has intrinsically created a bubble in confidence. Euphoria is always unsustainable, and the rebirth of the Dow 36,000 meme is a pretty deranged kind of market euphoria. Nonetheless, without some kind of wide and deep shock to inject some volatility — like war in the middle east or the Korean peninsula, or a heavy energy shock, a natural disaster, a large-scale Chinese crash, a subprime-scale financial blowup, or a Eurozone bank run — there is a real possibility that markets will continue to levitate. 16,000, 18,000 and 20,000 are not out of the question. The gamble may pay off for those smart or lucky enough to sell at the very top. But the dimensions of uncertainty make it is a very, very risky gamble.